A pack of identical monsters. A pack of identical monsters with one extra powerful leader. A single powerful monster (very rare). Killing any of these three types will result in at least one magical item dropping. If there is a champion amongst the group of rare monsters then only that monster will be gauranteed to have a magical item on them. If it's a group of equally powerful rare monsters, then you must kill all of them to be gauranteed a magical item. These special monsters all have the same list of affixes for each member of the group. On easier difficulties, they have a signle affix, but as you get higher in difficulty more affixes are added. While on normal mode you might encounter a group of carrion bats who have the "Molten" affix, yet you might face the same group in nightmare and they could possess "Nightmare, Teleporter, Waller, and Knockback" affixes. These affixes all do different things, such as Nightmare causing you to occasionally run around terrified and having no control of your character. Besides CC, some of these affixes, like teleporter, aid the monster in getting to you. The Nephalem Valor buff is for Inferno only, and it gives you a bonus to Magic Find. If you swap skills or die, then you lose this bonus. This encourages you to kill all the champion/rare packs you can find before killing a boss in order to get the best gear possible. Without the Nephalem Valor buff bosses aren't even worth killing. Start the very last quest. go back to the previous waypoints to build up nephalem valor then port back to kill the boss. Step 1: Start a quest at 4. Reign of The Black King. 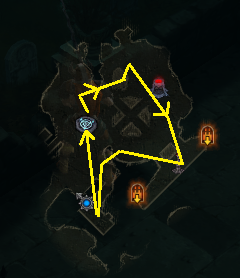 Step 2: From New Tristram, take the waypoint to Cemetery of the Forsaken. Step 3: Follow the pattern show below and try to find a rare pack of monsters. Step 4: After finding a single pack or if none are in the area, return to the New Tristram. 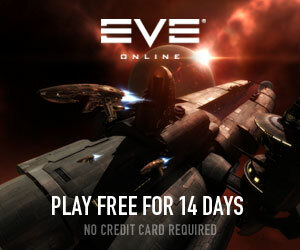 Step 6: Log in and repeat steps 2-6 until you have enough of any Essence. 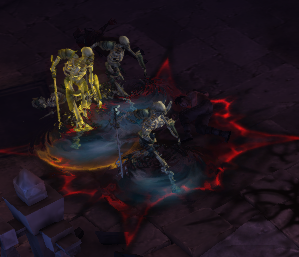 There can only be one rare mob pack or champion for you to kill at the starting point of the cemetery of the forsaken. However, it is quite easy to load up a game, check the area, kill the pack if it exists, and reset. You can literally farm 1-2 of any Essences per minute with this strategy. The reason I tell you to head to New Tristram before logging out is that it takes 10 seconds otherwise to reset, whereas New Tristram allows you to exit instantly. I suggest skipping all monsters except the rare ones and using the waypoint to escape any skeletons that want to annoy you by preventing you from logging out.